It was reported over the weekend that the iconic FNB Stadium and other landmarks were at risk as illegal miners tunnel under the city. The department of mineral resources (DMR) said on Monday that it had initiated a ground stability study in the Johannesburg area with immediate effect. In a statement, the DMR said the study, which will commence shortly through the Council for Geoscience (CGS), aimed to assess whether there was any long-term damage to critical infrastructure installation. 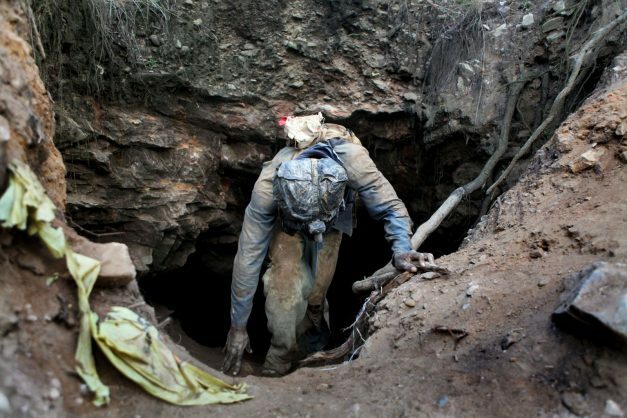 “While there is no immediate threat to critical infrastructure as has been claimed, government wants to confirm this assertion scientifically, and proactively deal with this matter, not only in Johannesburg, but in other areas where illegal mining occurs,” it said. This follows weekend reports that the iconic FNB Stadium and other landmarks were at risk as illegal miners tunnel under the city close to fuel and gas pipes, raising the danger of buildings collapsing and deadly explosions. Johannesburg mayor Herman Mashaba had raised the alarm as far back as February 2017 after he wrote to the then minister of mineral resources, Mosebenzi Zwane, requesting his support and intervention with regard to illegal mining with the use of explosives near highways, Transnet bulk fuel supply, and Sasol gas pipelines across the city, especially around the Nasrec precinct where the pipelines intersect. Back then, Mashaba said the consequences of the illegal use of explosives in decommissioned mines had disastrous consequences for the residents of Johannesburg as it could lead to serious injuries, loss of life, and would put an enormous strain on emergency services should a burst pipeline give rise to a fire. The DMR also stressed the importance of active participation by all stakeholders in the established Gauteng Illegal Mining Forum. This forum deals with immediate pressing matters on illegal mining and is empowered to suggest and/or take appropriate remedial action in addressing critical concerns.